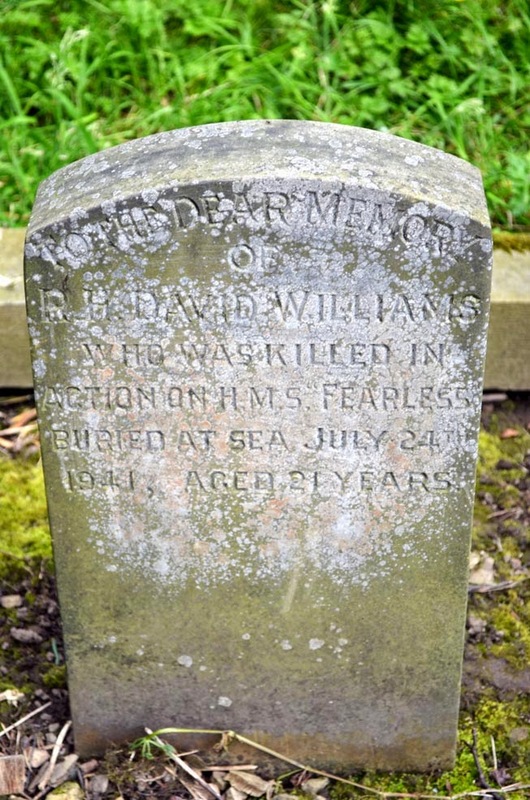 To the Dear Memory / of / R.H. David Williams / who was killed in / Action on H.M.S. Fearless / Buried at sea July 24th / 1941, aged 21 years. He is also remembered on the Arthur Balfour & Co Ltd Roll of Honour which is stored at Kelham Island Industrial Museum. Robert Hugh David Williams is remembered on the Plymouth Naval Memorial and commemorated on the Commonwealth War Graves Commission website, where his next of kin are given as Robert Edward and Mary Mildred Williams of Sheffield.